Please help us in celebrating the following Santanas for their contributions to our school and community! Thank you to our parent volunteer of the month, Mrs. Diaz. 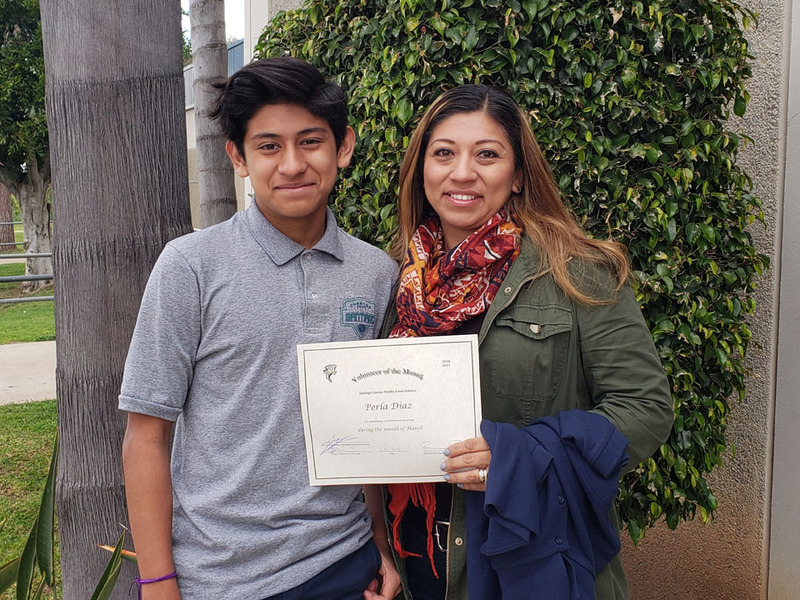 Please congratulate Kevin Diaz on his mom being our March Parent Volunteer of the Month. Perla Diaz began visiting Santiago to make sure her son was on the right path. From those initial visits, Ms. Diaz now volunteers on campus by helping to call Open Enrollment Families as will as helping out in the library and classrooms. Santiago is very grateful for our wonderful parent volunteer Mrs. Diaz! Congratulations to Nolan Saunders for receiving the Youth Presidential Service Award. 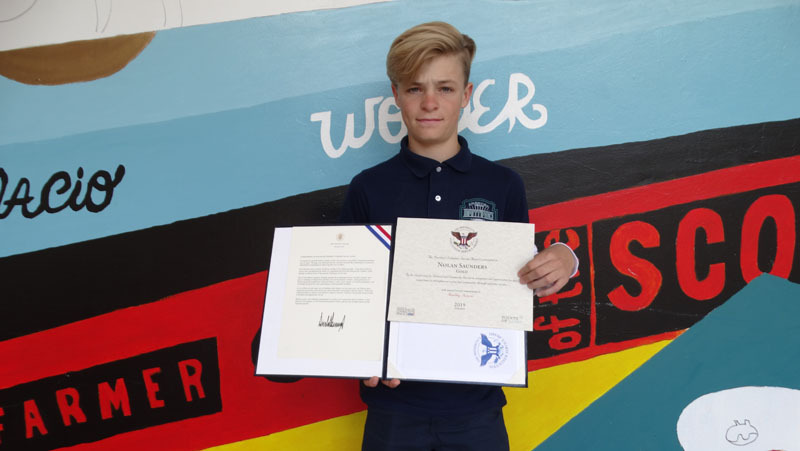 Nolan has volunteered over 100 service hours for the Elks Club, and received a Lifetime Achievement Award signed by the President of the United States. Mrs. Snider began her teaching career in Ohio and has also taught in Indiana. During the summer, her family rehabbed a house and moved to Mississippi. Within three weeks of moving, Hurricane Katrina struck, and totally destroyed their home. Her family was homeless for months, living in motels and with family members. A job led them to New Orleans, and eventually to Ohio in the Appalachian Mountain foothills. Mrs. Snider has taught elementary, middle and high school, at the university level and adult education. She was the Reading First Coordinator under the No Child Left Behind Law, and the district representative for the state Autism Awareness Council. Her career also includes sports: golf, track and cross country, where she saw many of her student athletes win awards at league, regional and state competitions, including state championships. This is Mrs. Snider's second year at Santiago teaching 7th and 8th graders, and her second year teaching English to Spanish-speaking parents of students at Santiago. 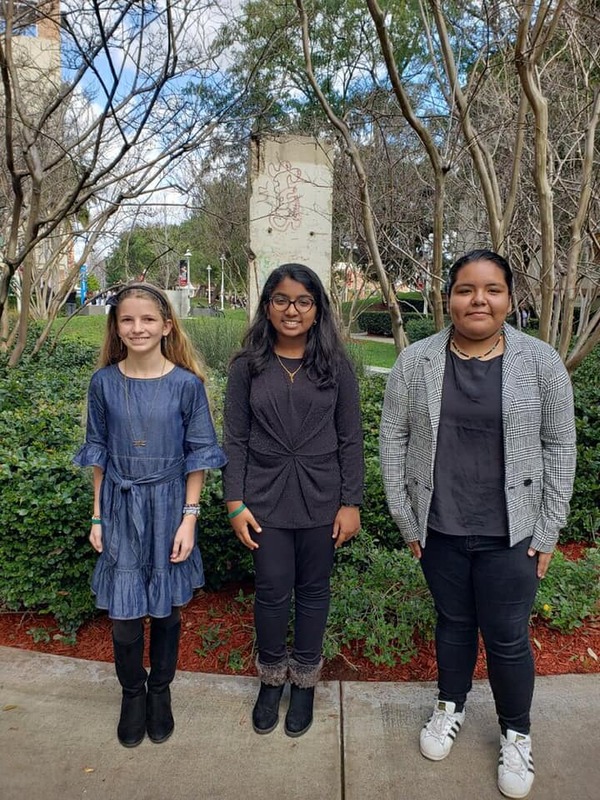 Santiago is proud to spotlight Santiago students Julianna Huffman, Joana Thomas and Marissa Villanueva for being recognized at Chapman University for the 20th Annual Holocaust Writing and Art Contest - and extra congratulations to Joana who scored second in poetry! Thank you Mrs. Hale and Mrs. Mallory who offered an information session to go over the content rules and requirements, and all who coordinated this opportunity. 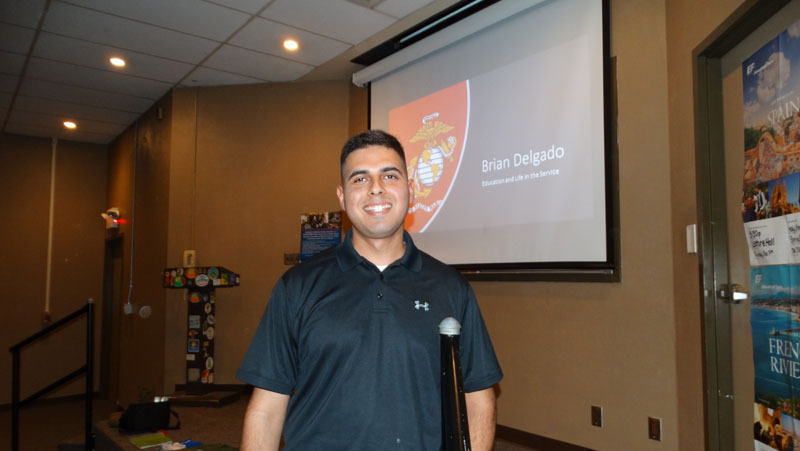 Brian Delgado, now serving in the U.S. Marine Corps, visited our campus to share his military career with our students. He is currently stationed in Japan, but was able to take time to visit with teachers and staff to share some of his experiences. We are very proud of Brian and his service to our country.